Since the start of our new tour to Boca Paila Muyil, many of you ask us what are the differences between the excursion Sian Ka’an and the Muyil Boca Paila excursion, so here are some things to help you choose. The’ excursion to Sian Ka’an and the one to Muyil Boca Paila are both in the same biosphere-the same “”reserve.””On the first day we will go on a trip that we call “reserve.”We enter the biosphere from the hotel zone of Tulum, on a dirt road whose condition varies depending on the level of rainfall during the wet season. This trip is the only negative point of the day, only because it takes an hour and 30 minutes to get there, during which you will be tossed back and forth in the van to get to the place where we take the boat. The boats can fit up to 6 people, and the ride will last for about 3 hours during which you may be lucky to see turtles, dolphins, migratory birds, crocodiles, manatees, and starfish…etc, in their natural environment. You will also have time for snorkeling for about half an hour followed by a swim in a natural pool. 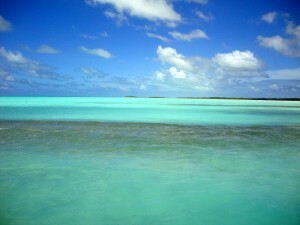 Even now, the scenery is beautiful; between palm trees and the turquoise sea, this is the Caribbean in all its splendor! You will have lunch in the village of Punta Allen, a buffet restaurant by the sea, and the fish from the fishing is particularly good. We offer this day only as long as the road condition is bearable; when we feel it is at risk we stop departures. The main difference about this day is that you will sail from both the sea and lagoon side and you will see many animals. You will make also snorkel in one of the most beautiful spots in the region and the natural pool is breathtaking. 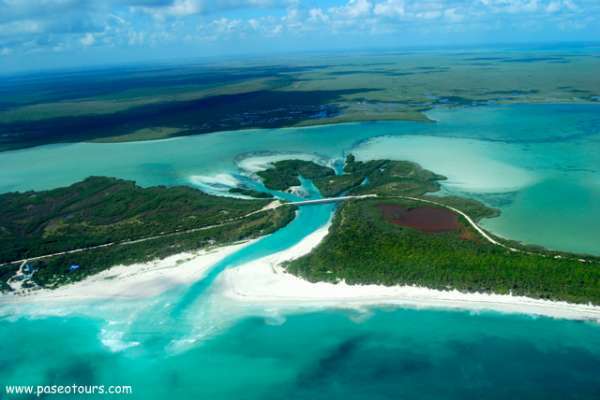 For the trip to Boca Paila Muyil, Access to the Sian Ka’an Biosphere is by highway, 20 minutes south of Tulum and there is no road. The tour that we propose will be 4 hours, unlike other agencies that propose a shorter version. This tour is complete and the scenery is amazing. The entire tour will be on the lagoon side. Let yourself drift into a freshwater canal, carried by a natural stream and see the Mayan temples in full mangrove. We will sail in the different channels and lagoons to reach the place where the lagoon meets the sea: Boca Paila. The main difference between the two days is that for the trip to Boca Paila Muyil, you will not see any dolphins or turtles. Often we come across the crocodile or manatees, but it will take longer. Many people like to choose this excursion to see the beautiful landscapes and breathtaking colors. The meal for this trip to Muyil will be home made, and will be true Yucatecan specialties-you will be immersed in the lifestyle of the locals. You should know that these two trips are very complementary and many of our guests are very often take the two. They complement each other very well and are different. Feel free to ask us any questions that you may have.